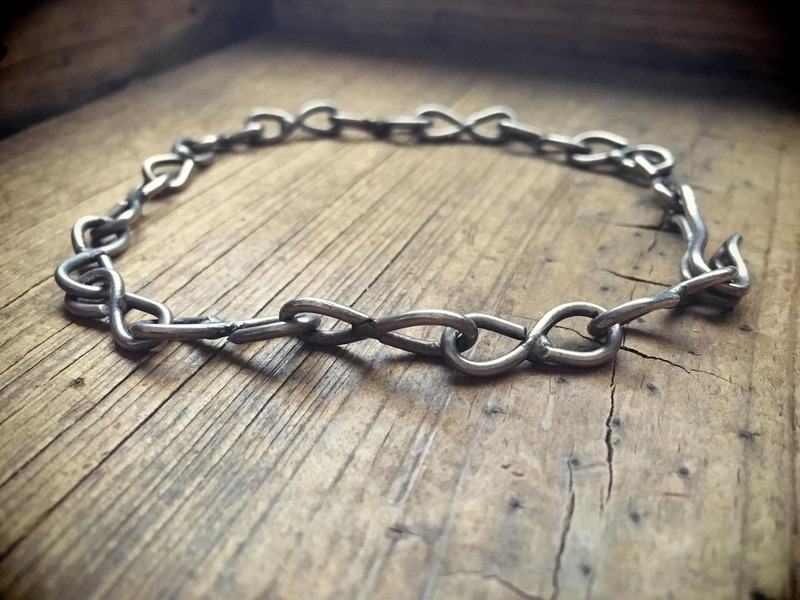 This vintage chain bracelet is all handwrought. 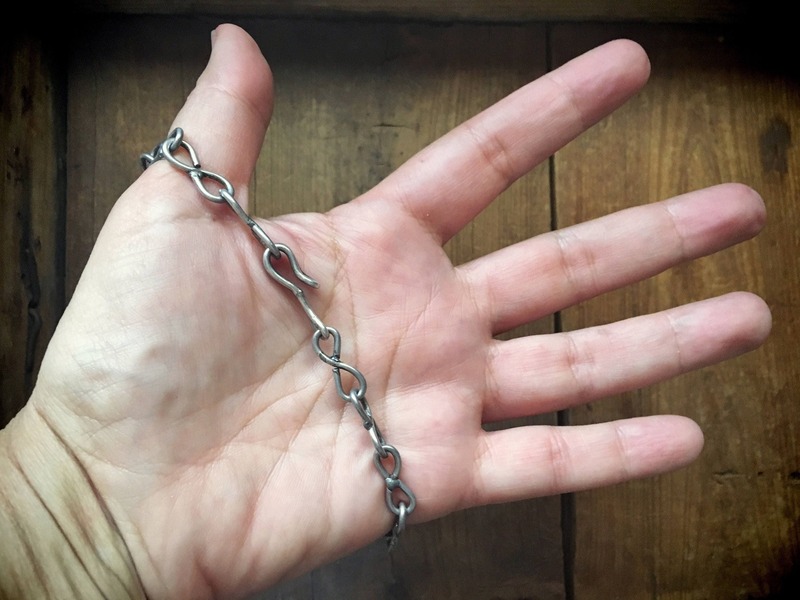 I can imagine the artist shaping each link, soldering one side of the link so that it couldn't easily open up, and possibly even wearing it. 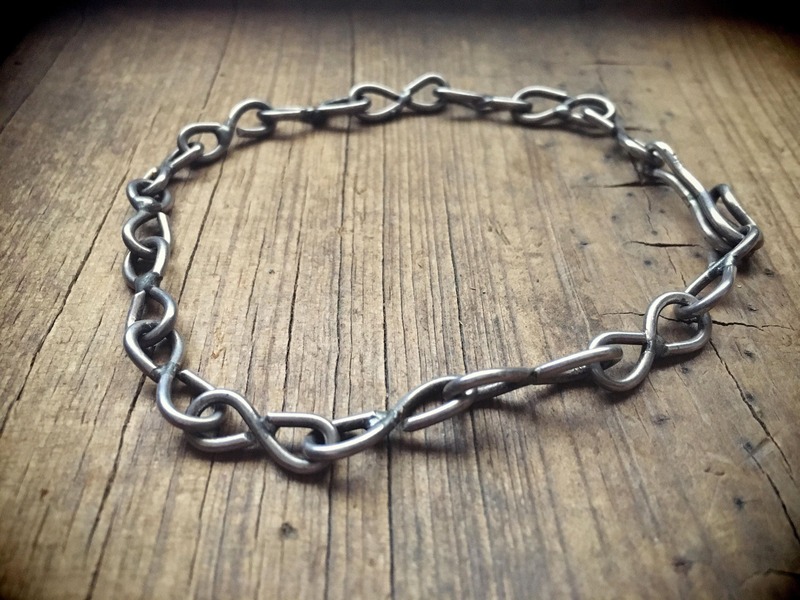 The bracelet has a masculine feel, Brutalist for the thickness and chunkiness, Steampunk for the industrial style clasp and look overall. Measures just under 10" in length and about 1/4" wide. It is unmarked yet acid-tested for silver content. 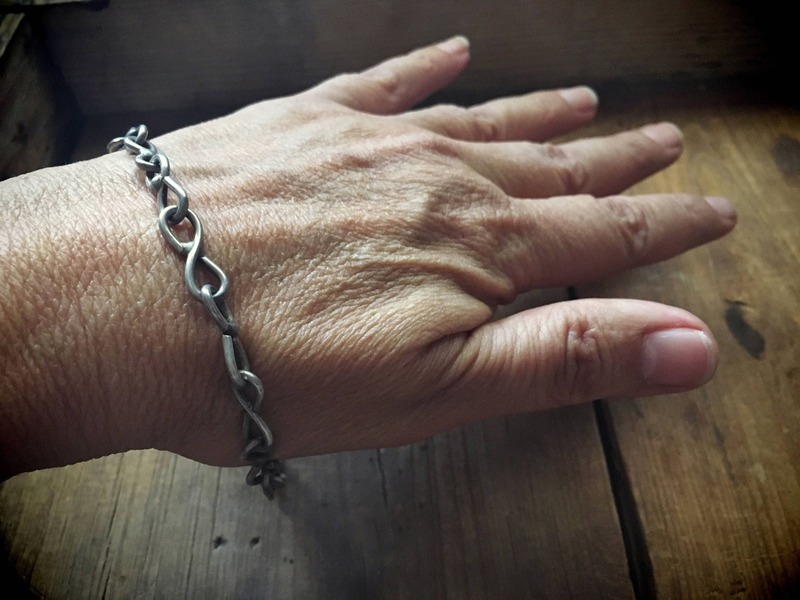 The hook clasp is very tight, and you may need the help of someone to hook and unhook the bracelet. 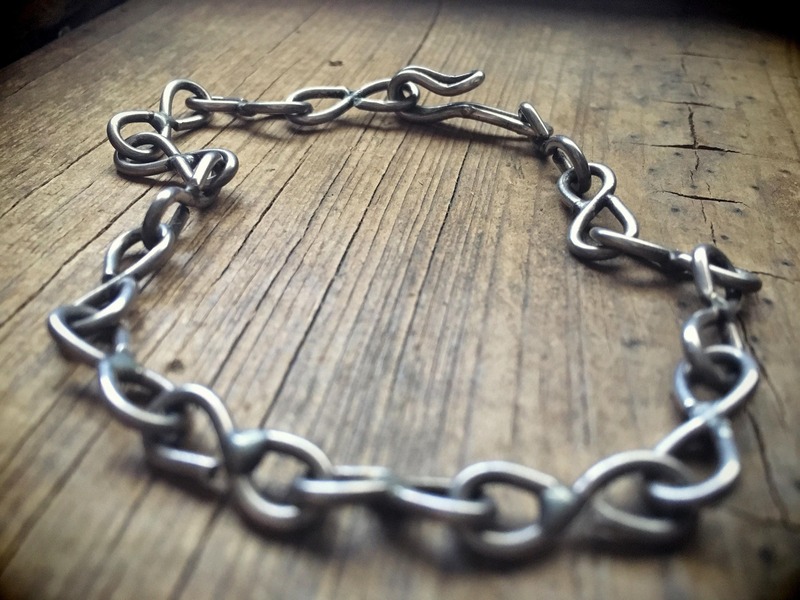 Perfect to wear alone, or add a charm or two or three or more.